Crisis Planning & Management – RQA, Inc.
RQA specializes in crisis management, offering comprehensive and customized services supporting the entire process. From initial development of your crisis management and emergency response plans, to review of your existing plans, crisis management training and finally annual testing via a crisis simulation exercise, RQA provides support globally. Whether you are facing a product recall, potential tampering, or business interruption due to a natural disaster, we work to ensure your crisis management and emergency response plans are robust, user-friendly and meet your business needs. 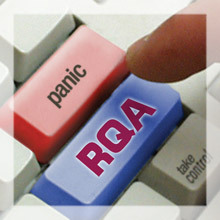 RQA’s services are targeted to minimize both your business and consumer risk.